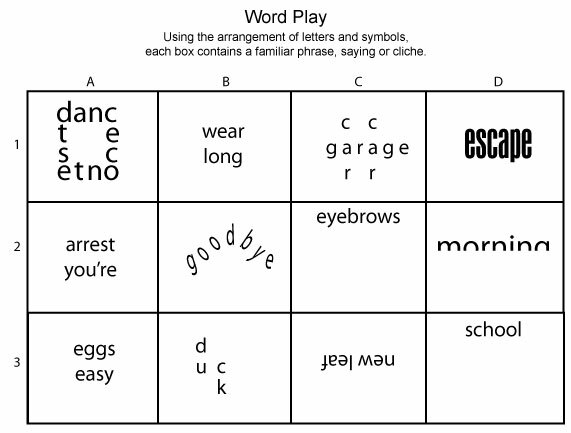 Wordplay or word play is a clever or subtle repartee; a play on words. 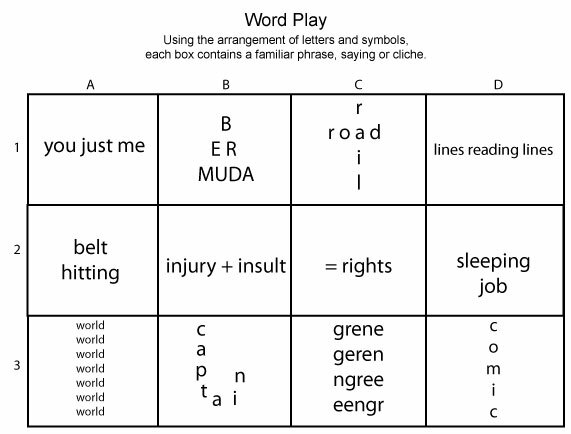 It uses verbal wit based on the meanings and ambiguities of words, e.g., palindromes or anagrams. My daughter brought this test home and it was quite comical. My highly competitive son, husband and I competed against each other only to find it wasn't a race to finish each task but rather read the directions carefully and thoroughly. 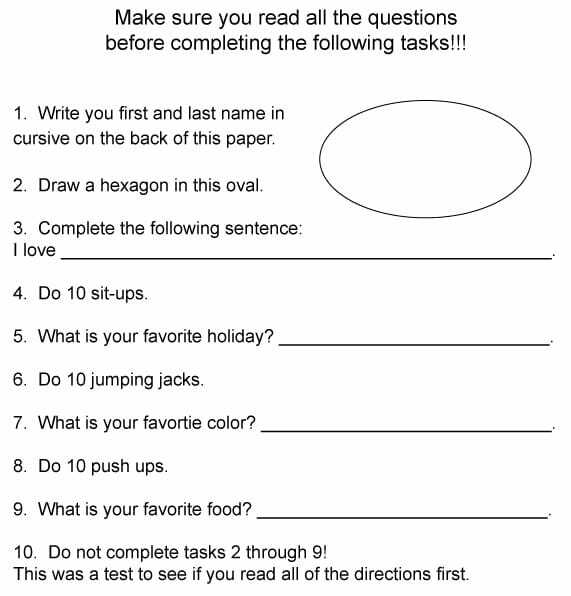 This is a great test to administer to students prior to taking a test to help them grasp the concept of reading directions thoroughly.